The following lists are compilations of important information on a variety of public safety, security, facilities, and EHS topics. The Millersville University campus safety committee is a diverse group of University faculty, staff, administration, union representation, and other constituencies. The committee meets several times per year to discuss campus safety issues. Millersville University has established a Threat Assessment Team (TAT) to assist in addressing situations where students, faculty, or staff are displaying disruptive or threatening behaviors that potentially impede their own or others' ability to function successfully or safely. The process is designed to help identify persons whose behaviors potentially endanger their own or others' health and safety. It is the responsibility of faculty, staff, and students to immediately report any situation that could possibly result in harm to anyone at the University. Any member of the campus community may become aware of a troubling person or situation that is causing serious anxiety, stress, or fear and, if so, this information should be provided to the Threat Assessment Team at (717) 872-3717. In cases where a person may pose an immediate risk of violence to self or others, the Millersville University Police Department (MUPD) should be contacted at (717) 872-3433. The EHS office is an active participant in the Millersville University Americans With Disabilities Act (ADA) Committee. Millersville University has completed the federally mandated Hazard Mitigation process to identify potential hazards, emergencies, and disasters which could befall the University, and develop strategies to minimize, control, and mitigate those hazards. The committee is chaired by the Director of EHS and meets once a year to reassess the University Hazard Mitigation Plan. The Environmental Health and Safety (EHS) office develops and maintains various EHS policies and programs and is an integral part of several university committees. Employees are required to de-energize and safely lock-out and tag-out all mechanical and electrical equipment. The university lock-out/tag-out program is here. Employees who must enter a confined space must follow confined space entry safety procedures. The University Confined Space Entry program is here (pdf). The 1993 amendments of the Pennsylvania Workers Compensation Act (Pennsylvania Act 44) requires self-insured entities to establish and maintain loss prevention programs, (AIPP) and safety committees. The AIPP and safety committees are aimed at reducing the incidence of work-related disease and injury. The MU AIPP is here. Click here for a summary of the Millersville University AIPP. If you would like to see the individual SOP's that are part of the AIPP, please contact the EHS office at 871-4950. Click here for directions on what you should do if someone suffers Sudden Cardiac Arrest (SCA). The EHS office maintains automated external defibrillators (AED's) for the campus including training and routine inspections and maintenance. AED's are found in many campus buildings in prominently marked locations. The AED's are stored in wall-mounted cabinets. AED's are also carried by sports trainers, and University Police. AED's are a proven life saving device if used quickly, by trained responders, to assist those who have suffered a medical emergency. If you would like to schedule AED training, contact the EHS office at 871-4950. The Environmental Health and Safety (EHS) office administers the workers compensation program for the University. Workers Compensation coverage is provided under the Pennsylvania State Workers’ Compensation Program and the general provisions of the Pennsylvania Workers’ Compensation Act. The University workers compensation program covers all full-time, part-time and temporary, and student employees of Millersville University. Any full-time, part-time, temporary, or student employee of the University who is injured or suffers an occupational illness while on the job must report their injury to their supervisor and to Human Resources. Any University employee who suffers an accidental injury or occupational illness within the meaning of the Pennsylvania Workers’ Compensation Act is entitled Medical Benefits and Compensation. With your supervisor, complete the Employers Report of Occupational Injury or Disease form(commonly referred to as the "Supervisors Form") and provide your supervisor with all of the details regarding your injury and how it happened. Send the forms to the EHS office in Human Resources, Dilworth Hall. Call 871-4950 if you have questions. 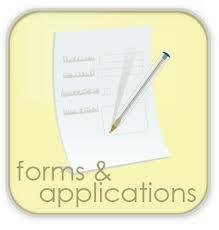 You can also fax the forms to the office at 717-871-7950. Forms must be submitted to the EHS office within 48 hours of the injury being reported to the supervisor. If you do not complete the forms accurately or send the forms to Human Resources in a timely manner your claim may be denied and/or your benefits may be delayed or adversely affected.